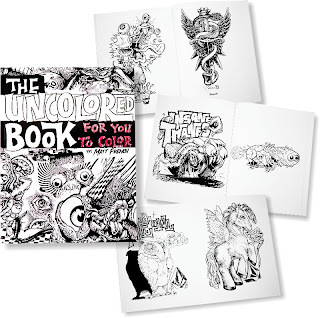 I just received a copy of my Uncolored Book For You to Color. 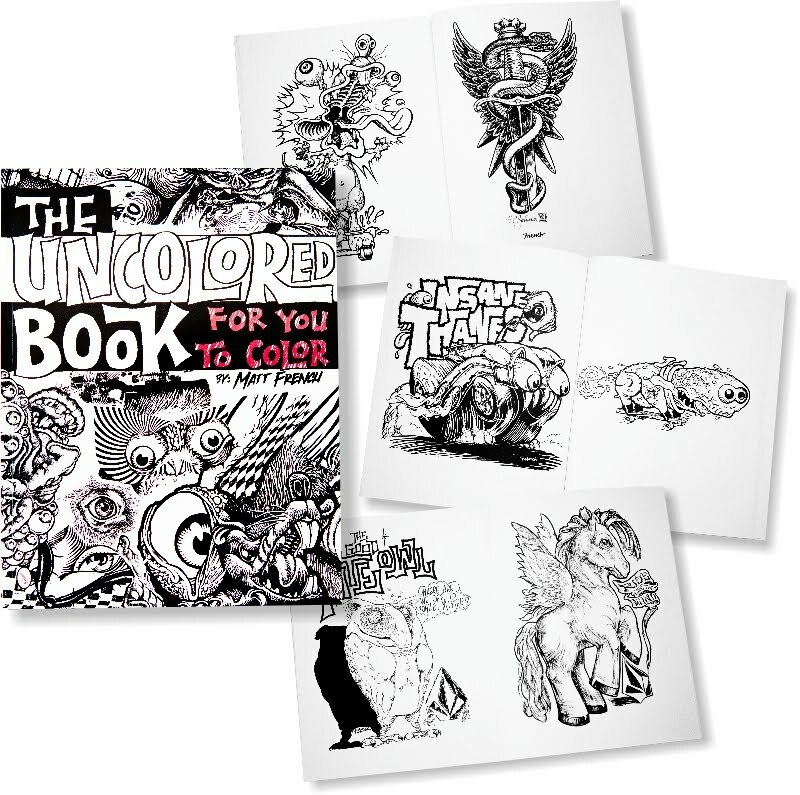 80 pages of black and white art for you color. Inside are several things that I have drawn (sometimes with help from others). Some of these drawings have been available before as a t-shirt, or a skateboard, or a snowboard. Now they are just boring paper to help you to not be bored during a spell of boredom. Available soon from Schiffer books.